All children have the right to play and enjoy activities and clubs. We understand that it is sometimes difficult for families to find activities for their children to participate in and also to find specialist equipment to support them in their play. There are many services available for children with disabilities to enjoy their hobbies or day trips out. Please see the list below to find some local services to you. The Lake District Calvert Trust is a residential outdoor centre with over 35 years of experience in delivering challenging outdoor adventure holidays for people with disabilities. They offer exciting residential breaks for schools, groups, families and individuals friends and carers, which are accessible to people of all ages including those with the most complex needs for which most outdoor centres cannot cater. The Max Card is a discount card for families with children with a disability. The scheme is designed to help families save money on days out and activities. To order a Max card you will need to contact your local authority. 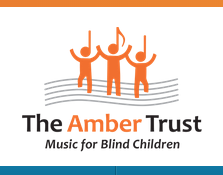 We know that many children and young people living with a diagnosis of an NCL love music so we are delighted to be working closely with our friends at the Amber Trust who aim to enable children and young people with a visual impairment to fully experience the joy of music. Amber’s vision is to give blind or partially-sighted children the best possible chance to fulfil their musical aspirations. Sense is a national charity that supports children and adults who have visual, hearing and sensory impairments. They offer a number of leisure and educational services for children and young adults with these impairments. To find out more about their specific services please visit their website. The Riding for the Disabled Association have 500 volunteer groups across the UK who have horses and ponies that can provide therapy to children with disabilities. They offer activities for all age groups, where possible, to people with any disability. Toy Libraries are a great place for families to borrow different toys, often for free, but occasionally you are charged for this service. They toy library has a stock of sensory toys so they are a good place to use if you would like to test a certain toy to see if your child likes it before you spend money on buying toys. To find your nearest Toy Library visit their website. The Visit Woods website gives you information on all the woods in the UK. The website will be able to tell you which woods have accessible walks and are fairly flat. It also gives you information on activities which are available in certain woods.